Citroen’s C4 Cactus made its debut, in concept form, in the autumn of 2013. It set a new styling template that has proven very successful for the French brand. High-set running lights, separate headlamps and a rounded oblong grille provided a distinctive face, while clean surfaces and plump rounded forms ensured an open and friendly demeanour. 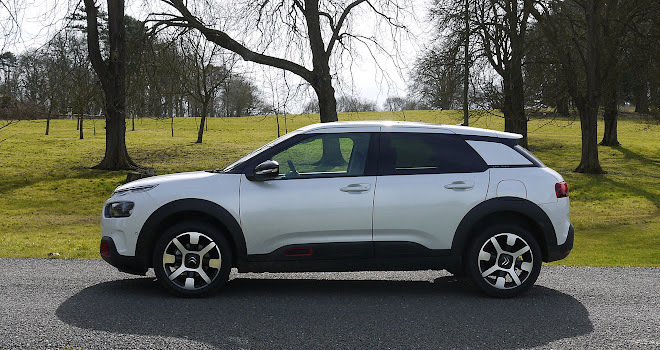 The approach has translated particularly well to the strong-selling C3 supermini and its high-riding C3 Aircross sibling. 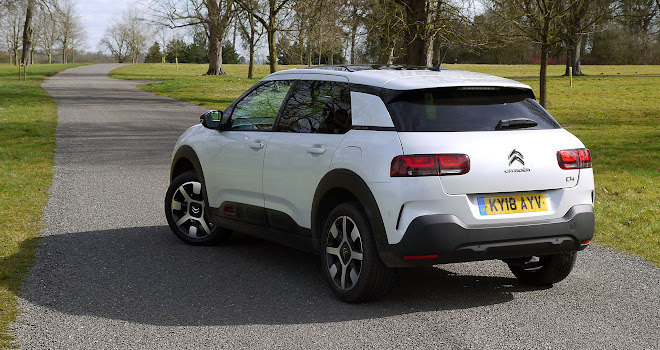 Alas things didn’t work out so well for the first-generation C4 Cactus itself, which has stumbled along over the past four years without ever selling in great numbers. 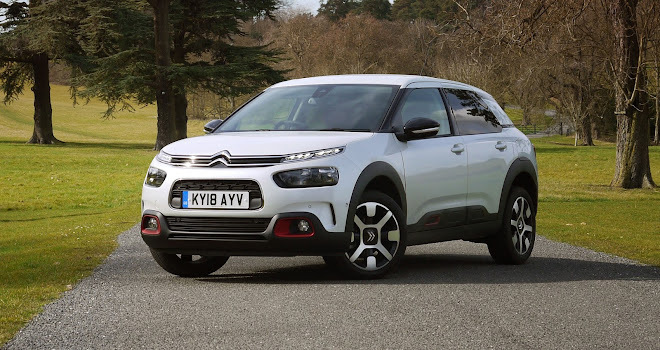 Citroen has laid the blame squarely on the car’s most distinctive styling element – large protective “Airbump” panels, which dominated the flanks of the first Cactus. They may have been brave and innovative but they were also highly divisive, apparently. Hence the simpler sides and conventional corners of Cactus version 2. The chrome additions of the C3 front-end have also been grafted on to the car’s updated nose, alongside more angular headlamps to give a more focused gaze. I suspect the changes might not deliver the fix required. The old Cactus struggled not only because of its looks but also because it fell between stools. It was pitched above Fiesta-sized superminis but below Golf-sized hatchbacks, both in price and size. Having been built on a stretched DS3 platform, it was designed to offer the length but not the width (or the weight) of cars in the bracket above. The Cactus also took a weight-saving and cost-avoiding approach in other areas, including the fitment of pop-out rather than wind-down windows in the rear doors. I loved the frugal, commonsense character of the first-generation Cactus, which reminded me of Citroen’s most famous laid-back old charmer, the 2CV. But evidently I was in the minority. As well as defusing the car’s divisive looks, Citroen has sought to clear up its positioning. 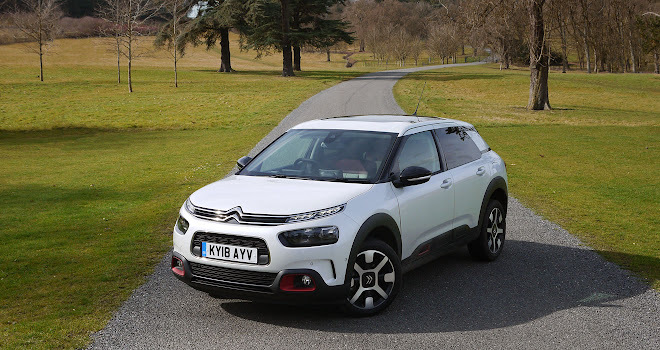 Ambitiously, it has aimed up rather than down, pushing the revised Cactus into the mainstream hatchback slot recently vacated by the old C4 five-door. To try to make this shift more credible, the company has added lots of tech features including active emergency braking, blind-spot monitoring, speed limit recognition, and a reversing camera to the top-spec Flair trim level, while Apple CarPlay and Android Auto now appear across the range. 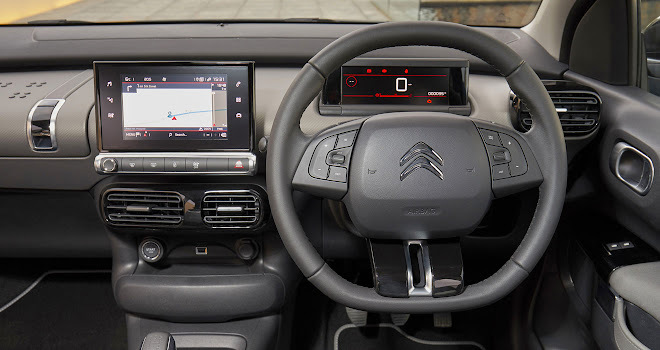 To improve refinement Citroen has added thicker glass, new seals and more sound-deadening insulation throughout the car. It has also squashed in bigger, more softly padded seats and fitted “Progressive Hydraulic Cushions” to the suspension. The cushioned suspension works by adding extra damping and springs into the struts, which allow a softer feel over modest bumps without going all wobbly and crashy over big potholes. Finally, Citroen has rustled up a new top of the line petrol engine – a 130bhp unit paired with a six-speed manual gearbox. That’s the combination tested here, offering a swift 8.7 second sprint to 62mph and a modest 110g/km CO2 rating. The revised car’s visual makeover is reasonably clean and successful (if you don’t look too hard at the cutline above the rear bumper), managing to avoid looking like a car that’s undergone painful skin grafts. Inside, much less has changed – the steering wheel, the digital instruments, the air vents, the touchscreen, the big useful glovebox, the scratchy plastics, and the charming luggage-inspired door pulls all carry over. 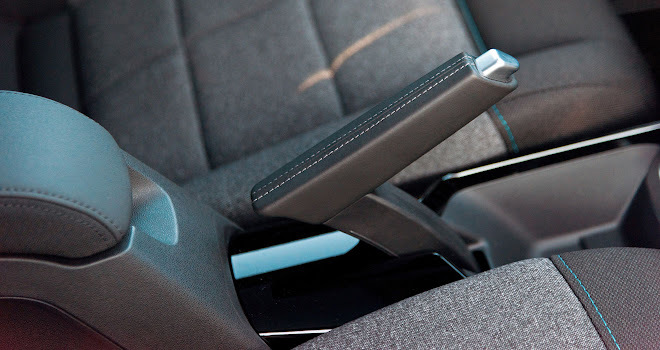 There is a slim new console between the front seats, however, offering two shallow and possibly pointless cupholders and an armrest set so far back you’ll need the elbows of an orangutan to reach it. Wedged in tight between plump seats, like a thong between two buttocks, the main thing the centre console does is remind you how narrow the Cactus is. On the move, it quickly becomes apparent that the new refinement mission has been successfully nailed. 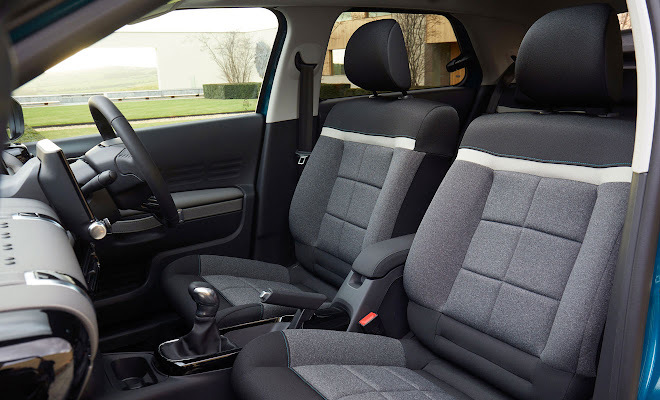 The front seats are superbly comfortable, the cabin is impressively hushed, and the car smothers potholes as if its tyres are pumped full of marshmallow. Passengers in the rear may not feel quite so cosseted, however. While there’s plenty of room for legs and heads, there are no rear air vents and those hinged side windows open as wide as a tightwad’s wallet. Not great for anyone feeling carsick. 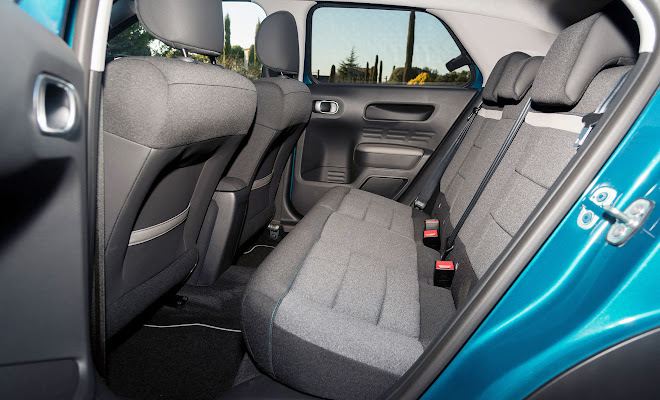 The rear bench also lacks shape, offering as much side support through corners as an Ikea sofa. More happily the PureTech 130 engine sounds good and feels impressively athletic in what remains a lighter-than-average car. It suits the Cactus well and makes it enjoyable to whip along a country road. A stop-and-start function is included and works unobtrusively as you dip the clutch. The six-speed gearbox offers sensible ratios and there are shift reminders among the instruments to keep you frugal. The shift action isn’t too notchy but is a little soggy – less like a hot knife through butter than a spoon through cold porridge. After an hour or so behind the wheel, on the soft and squishy seating, I found myself liking the updated Cactus much more than I’d expected. But also wound up feeling a little sorry for the poor thing. Witnessing the transition from old Cactus to new Cactus is like seeing a teenager buzzing with creativity not quite getting into art school but being offered a job in accounts. So, onward to the big question. 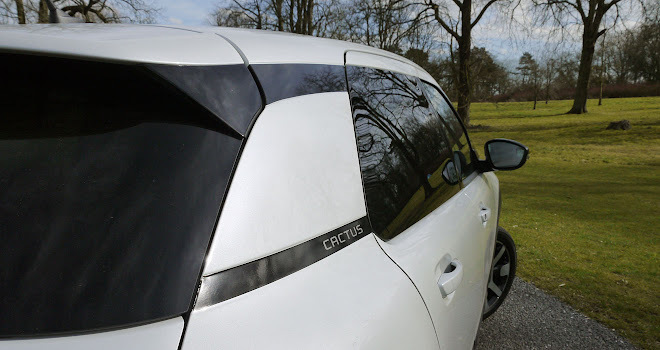 Does the revised Cactus feel credible as a mainstream family hatchback? Sadly, no. Not to me at least. It feels far too narrow and the rear cabin is positively woeful in a segment stuffed with extremely high calibre competition. The Cactus still betrays what it actually is underneath: a stretched and puffed up supermini. But let’s answer another question instead. Is it still a fun and likeable little oddball? Happily, yes it is. 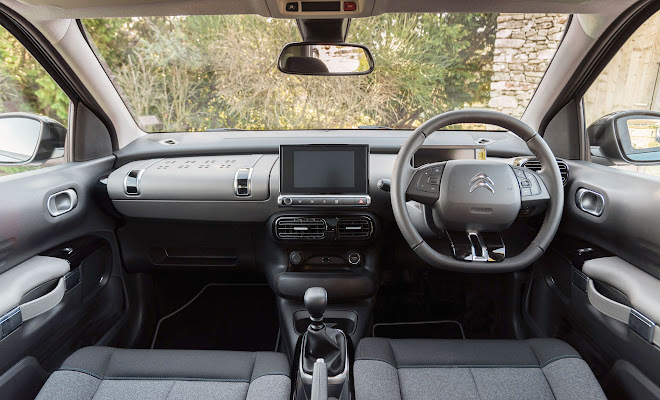 Citroen’s extensive overhaul hasn’t altered the car’s core character; in fact the added squishy softness and impressive cabin refinement tend to amplify its quirky, left-field appeal (even if the exterior no longer looks as distinctive). It feels jolly and comfy and not angry or sporty. The only remaining question is one of cost. With the list running from £17,965 to £21,165 before options, the Cactus has jumped up from the £16,575 to £20,560 span of its prior incarnation. As a result, it may well be priced above its station. My advice, if you like the sound of this new generation Cactus, is very simple. Haggle hard.